All items available in the Civility At Work Trainer Pack and Dining Social Trainer Pack are in PDF format. After verification of payment (and during normal business hours), you will receive an email containing the link (or links) to download the lesson(s) you have ordered. 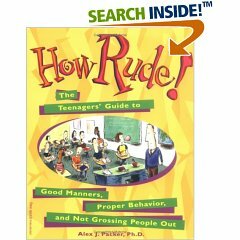 If you are a business owner, workplace trainer, a front-line manager, someone who leads a social or community team, or a teacher or Day Care Center Director, you can boost productivity, increase service standards, and foster respectful workplace communications by teaching civility at work. Choose 1 of our featured CIVILITY AT WORKTM lesson plans priced at $59.00 or choose all 5 lessons in a "Trainer Pack" specially priced at $249.00. ALL LESSONS ARE IN PDF FORMAT. If you are a business owner, manager, parent, educator or social committee member/Director who would like to teach your employees, co-workers, family or committee members social skills that will boost their confidence and help them feel more comfortable in social settings as well as help them send a positive impression, 1 of our $59 Dining or Social Lessons will be beneficial to you. Or, you can buy all 5 lessons as a "Trainer Pack" at a special rate of $249.00. The add-on materials listed here, particularly, coloring books, books and tip sheets are not included in the training kits, they are simply intended as optional, supplemental materials and are NOT required to teach either Macaroni and Please, Proud to Be Polite, or Confidence is Cool. 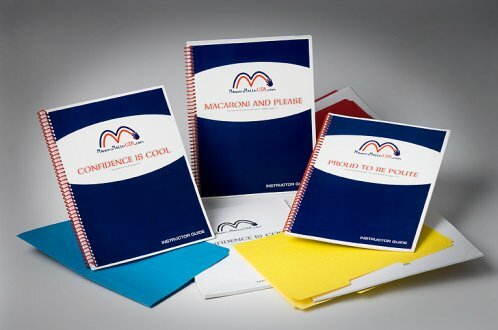 If you purchase the Macaroni and Please Kit, Proud to Be Polite Kit, and/or the Confidence is Cool Kit you will have everything you need to teach the course curriculum. You will receive a comprehensive instructor's manual and master file booklet to reproduce the participant manuals. If you decide to offer sessions for large groups, on a regular basis, as part of an ongoing training plan or as a full week of Courtesy Camp- you may find ordering ready-made participant manuals, books, and other add-on materials helpful. 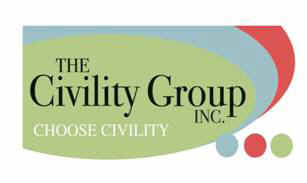 Please visit The Civility Group online bookstore - links at the bottom of the page..